MaryBeth is the ideal client advocate. Her attention to detail and focus during meetings allows her to be a strong voice for ongoing client needs. MaryBeth has a genuine compassion for clients and will do everything necessary to ensure all their requests are met. Her love for numbers makes her a perfect fit for Austin Asset, as she uses her expertise to develop comprehensive financial plans. She previously worked in the banking industry assisting high net worth clients in achieving their financial objectives. 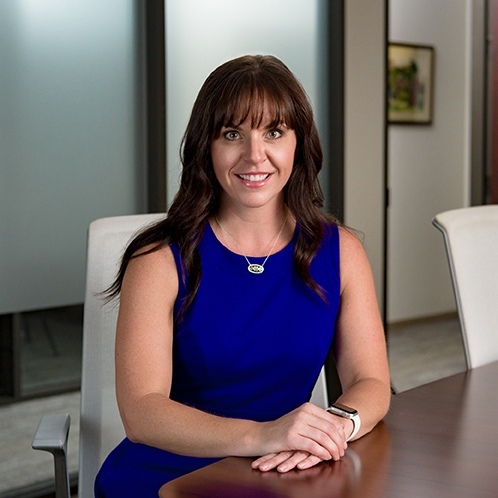 She joined Austin Asset in 2009 and earned her CFP certification in 2011. A native of Geneva, New York, MaryBeth made Austin her home after attending the University of Texas. Outside of work, she enjoys exercising, traveling and listening to live music. If you could meet anyone, living or dead, who would that be? My Grandpas passed away before I had a chance to get to know them. I’ve heard so many stories about them and would love to see how true they are! I was hooked on game shows – Double Dare, Win, Lose or Draw, and Press Your Luck.